Young or old, no-one can resist this charming plush teddy-bear and superb premium chocolate hart showcased in our classic bag. 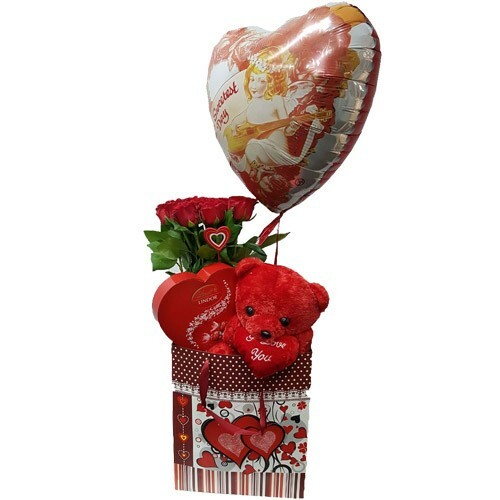 Our hamper come beautifully presented with 12 red roses and love balloon and delivered in protective way. So, you need exquisite bouquets, a fanatic customer support and 100% satisfaction guarantee? Great, you're one click away from sending smiles to 13 countries and growing. FlyingRoses Inc. 2019 - Online flowers delivery network since 2006.